It’s late September so that means the Bell Pepper plants are coming in nicely. It’s also the time of year that you are likely to hear the first complaints from your kids about the boring cheese sticks and apple slices that you keep giving them for their school snack. Here’s a way to put all those peppers to good use and make all the other moms look like chumps. 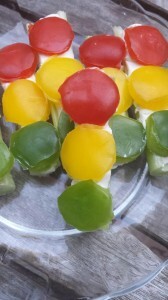 Celery, Pepper & Cream Cheese Traffic Light Snacks. (Pretty much 7 words, more or less). I am not sure exactly WHY kids like food shaped like traffic lights, but they do. Trust me on this. You are going to need to grab yourself a round, mini cookie cutter. If you don’t have one, (because, clearly – who does?) 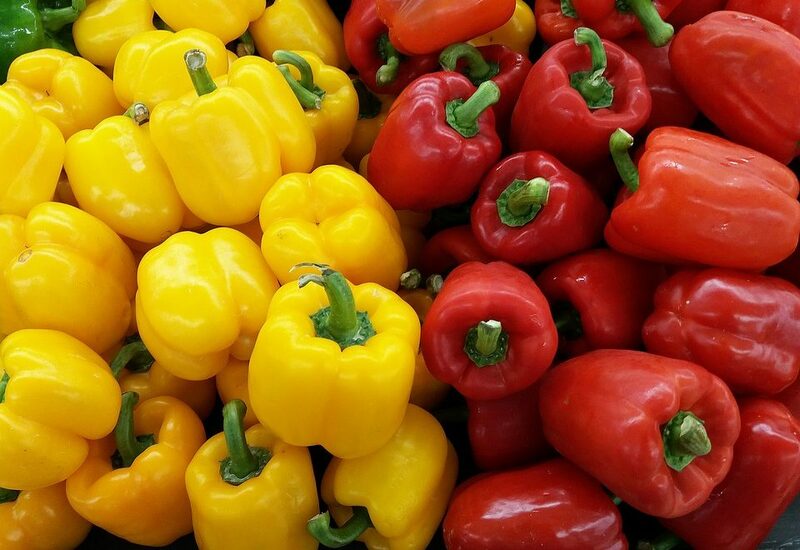 you will need some other type of round object to punch holes in your peppers. This is how I discovered that I own a melon baller. It works better than my husbands wedding band and the tiny frying pan that came with my daughter’s LaLaLoopsy doll, so I went with it. Start by cutting the celery. They should be about 3 inches in length. 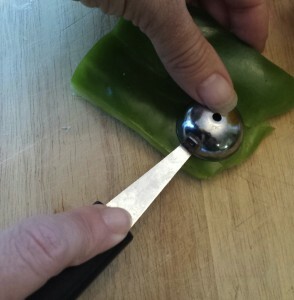 Next, use your melon baller (or your husbands wedding band or whatever) to cut out some circles in a red, green and yellow pepper. 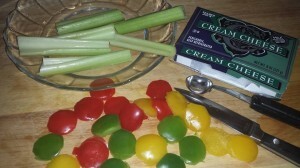 Slap the cream cheese on the celery and then pop a red, yellow and green pepper-round on it. They actually taste good too so – bonus. If your kids are the adventurous type, mix in a few herbs in the cream cheese for more flavor. Chives. Dill. Or use hummus instead of cream cheese. Sky is the limit. Go wild. Feel free to clean the edges of the circles up if you are so inclined. As you can see from my photos, I was not inclined at all. My kids like to call these the “polka dot polka dot afro circus snacks” which I think is hilarious. It’s even funnier to talk like Chris Rock while you make them. I’ve considered changing the name from “Traffic Lights” to “Afro Circus” for this reason.